Fabulous and Brunette: Backyard Wins Giveaway Hop - Lots of Prizes! - Enter Daily! 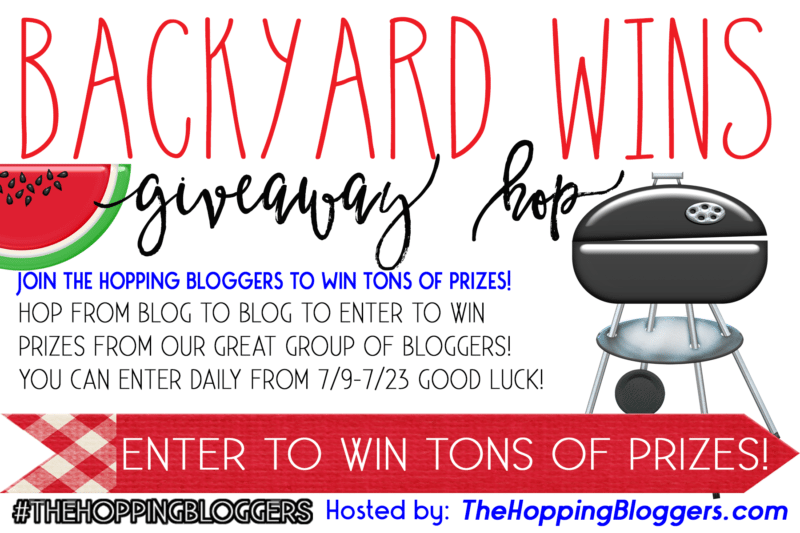 Backyard Wins Giveaway Hop - Lots of Prizes! - Enter Daily! Hey lovelies! FAB is finally partaking in a giveaway hop! I have teamed up with some fabulous bloggers and we want to shower you with lots of exciting prizes!!! My giveaway is for a Brand-New Amazon Kindle Fire!! It has a retail value of $49.99!! I know this giveaway theme is Backyard Wins, and a Kindle Fire might not seem like the most obvious prize choice… But, I recently got my own Kindle Fire and this thing has been like glued to my hands!! I use it for everything!! From reading ebooks, shopping on Amazon, paying the cable bill, watching movies, checking my emails, ordering a pizza, playing games, taking pictures, and of course, blogging. I seriously love it!! And I think you will too!! Now, I want to get you hooked and send you your very own Kindle Fire!! So enter to win below. There are LOTS of daily entry points, so be sure to come back DAILY to claim all these extra entries! Also, like I mentioned this is a GIVEAWAY HOP – so be sure to check out the other blog’s listed below to WIN BIG!!! There is no limit to how many stops you can win at!! I am a mother of 3 boys, step mother of twin boys and have five grandsons! I have been married for 43 years to my best friend. He is the love of my life. We have 2 wonderful children and 2 beautiful grandsons. I have two boys and just recently took up woodworking with my husband! I love listening to Bruce Springsteen! Thanks for the fun hop! I like to read too, so I can understand why the Kindle has been glued to your hands! Glad you joined a blog hop, feel free to join the ones at my blog too. We'd love to have you! I am a single, stay at home mom of a special needs child. We love to read. The Kindle would be awesome to win! Thank you for the chance! I'm looking forward to a trip to Alaska in a couple of weeks! My hobbies are reading, gardening, decorating my home, fashion, beauty...I also like to enter giveaways. thanks for the giveaway and thanks for being friends on social media. I am from Texas, living in Oklahoma and have been doing blog giveaways for years. There is a new baby coming this week - Lord willing! The first baby girl in our family! I'm going to Cincinnati in a few weeks! I can't wait! I'm planning a road trip to the beach later this summer. No summer plans just work work work. hoping to go somewhere in October/November timeframe. I love winning giveaways and enter them often! We have no plans for this summer. Just staying cool and enjoying the fresh air. I really enjoy playing volleyball with a bunch of friends from work. I love taking bike rides on our new bike trail in our town. I enjoy recycling. I don't do it as much as I could (probably) but I try. Every little bit helps! I like entering giveaways and watching The Game of Thrones series. Hi Sweeter the berry ~ Awesome! I love entering giveaways too! And of course hosting them :) I haven't seen The Game of Thrones, but I hear it's ahhhmazing! I will definitely have to check it out! Bet you are stoked the new season just started :) Thanks for stopping by and good luck in the giveaway! We're impatiently waiting the birth of our first granddaughter! But I'm trying to keep up with my entering in the meanwhile. I like to coupon, blog and read. 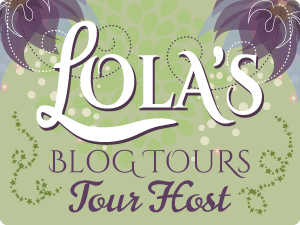 Thanks for the blog hop! Your book reviews on Amazon are phenomenal. Very very well written and appealing (as someone who reads a lot and is always looking for the next good book.) Wow! I really love to camp with my family. My boys are teenagers so they don't like it nearly as much anymore but it's great family time. Thanks for the giveaway. Would love to win a Kindle Fire. I enjoy blogging, entering giveaways, tent camping, and hanging with friends. I've worked almost 13 years as a 9-1-1 Dispatcher. Thanks. I have been doing all things garden. I just love my summer garden, and now as things start to mature, I am getting to canning and freezing of the harvest. I just love it. we arem oving this weekend... so stressful but exciting. I like reading too, and coffee. I also like giveaways...can you tell? Thanks for hosting! Reading and developing recipes are my hobbies. I'm a lot happier than I appear to be. What I enjoy...fresh flowers in my yard, Dahlberg Daisies to be exact! I love all flowers, but these are special to me! I love 'em!! A few years back, I discovered some Dahlberg Daisies (Thymophylla tenuiloba) at my local nursery, and it was love at first sight... I mean with their feathery foliage and cheerful yellow flowers, whats not to love? They give me a "happy-place" feeling! I planted them as a border in my front yard because it super sunny out there, and they did very well until wet summer weather set it, and they all died back. I thought for sure they would all die... but no it wasn’t the end of these little plants, – each spring, after a bit of winter rain, seedlings of Dahlberg Daisies pop up around my front yard, thriving with absolutely no attention from me at all until summer sets in once again. In less than one month we are on our way to a epic 10 day road trip hitting at least 10 states! We have no summer plans. I like to enter giveaways and read. I am looking forward to our upcoming trip to the Tennessee Mountains. I am looking forward to 2 girls trips! Next month NYC and Sept. a sister's week in the Bahamas! Hi joyven ~ Great to see you here again! Any special plans for your days off? Hope you are able to catch some R & R :) Thanks for stopping by and good luck in the giveaway! I love spending time with my cats. My plans are to go to the beach and enjoy an afternoon to make my summer day the perfect one. I read at least one book every week and usually more than that.